Continuing protests in Ukraine, widely known as EuroMaidan, began in November 2013, when President Viktor Yanukovych suspended preparations for signing a European Union association agreement that would have eased the import of European products to Ukraine and set the stage for the relaxing of travel restrictions. The derailment of the deal came as a result of pressure from Russia, which supplies some 60 percent of Ukraine’s natural gas. Hundreds of thousands of Ukrainian citizens took to the streets of Kiev and other large cities in rallies that at times turned into violent clashes with police. While these protests revolve around economic issues, the opposition activists also “oppose the authoritarianism that Russia represents, as well as its echoes at home: their own corrupt, oligarchic economy, their own murky security police”, said Anne Applebaum in her opinion piece in The Washington Post. One of the ironies of this protest movement is that it has pulled many young Ukrainian Jews into an odd coalition with the ultra-nationalist Svoboda party, drawing a wedge between younger and older generations in Ukraine’s Jewish community. As mentioned in an earlier post, the name of the Svoboda party—which means “freedom” in Russian—is misleading, as it was originally and more appropriately known as the Social-National Party. One of its heroes is Stepan Bandera, the head of the Organization of Ukrainian Nationalists (OUN), which collaborated with the Nazis in 1939-1941 and actively participated in the murder of the local Jews. Bandera remains a highly controversial figure in contemporary Ukraine: in January 2010, the outgoing Ukrainian President Viktor Yushchenko awarded to Bandera the title of Hero of Ukraine, but the honor was officially annulled a year later, under the current President Viktor Yanukovych. Svoboda’s homebase is the city of Lviv in western Ukraine, which is also, ironically, home to a historically significant Jewish community that initiated the Reform Judaism movement in 1826. Lviv’s once-vibrant Jewish community was annihilated in 1941, when the Golden Rose Synagogue was destroyed by the Nazis with numerous Jews inside. 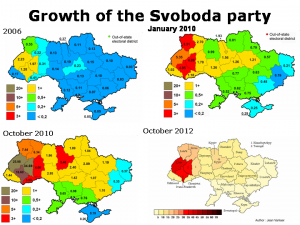 While the Svoboda party began its ascent to power by gaining the majority on the Lviv city council and in the regional council, it gradually developed a power base in other major urban centers of western Ukraine as well, including Ternopil and Ivano-Frankivsk. In recent years, ultra-nationalist Svoboda activists have gained ground over much of western Ukraine, an area previously noted for more liberal and pro-European voting patterns. Some observers attribute this switch to a growing belief that the moderate nationalist politicians, most notably Yulia Timoshenko and Viktor Yuschenko, are too corrupt to adequately promote the Ukrainian national ideals of the 2004 Orange Revolution. In the October 2012 Ukrainian parliamentary elections, Svoboda received 37 seats in the 450-seat Verkhovna Rada, becoming the fourth-largest party in the country. Another irony of contemporary Ukrainian politics is that by weakening the moderate nationalist bloc, Svoboda, which bristles at Russia’s influence of their country, actually enhanced the power to the pro-Russian, anti-Ukrainian forces in the government. When it comes to the Jews, Svoboda’s leader Oleh Tyahnybok “has freely trafficked in anti-Semitic stereotypes”, according to JTA’s Talia Lavin. For Ukrainian ultra-nationalists, no room exists for Jews or other minorities in Ukraine. This sort of anti-Semitic rhetoric prompted concerns from the European Parliament. The Jewish community in Ukraine finds itself split on the issue of the protests. 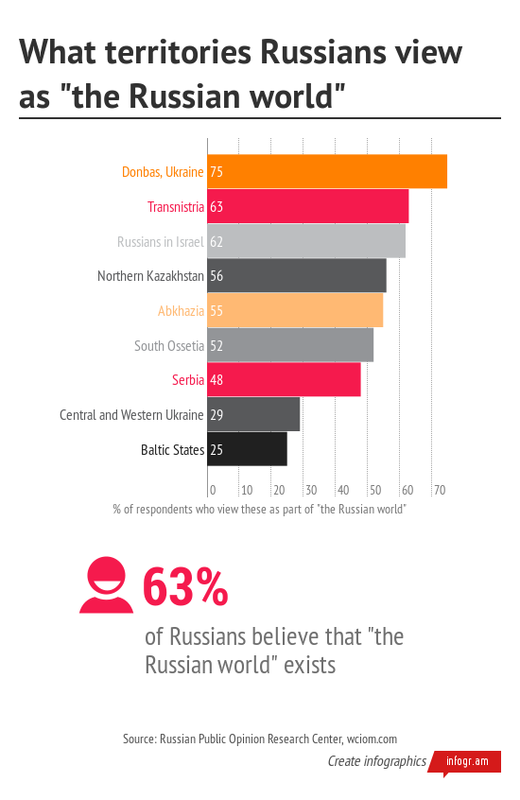 Older Jews, who grew up in the Soviet system, tend to be more pro-Russian in their outlook. Moreover, they find it harder to overlook Svoboda’s xenophobic and anti-Semitic declarations. Thus, Rabbi Pinchas Veshedski, head of the Jewish community organization in the eastern Ukrainian city of Donetsk, said: “We fear that this situation will get out of control. And when there is chaos, minorities will suffer, as our history tells us”. And so it does: in Donetsk alone, 3,000 Jews died in the ghetto and 92,000 residents, most of them Jews, were killed in the local concentration camp. Jewish communities throughout Ukraine suffered a similar fate during World War II. Nearly 34,000 Jews in Kiev were rounded up and massacred at Babi Yar on September 29-30, 1941 (this tragedy became subject of a famous poem by Yevgeny Yevtushenko and of Dmitri Shostakovich’s Symphony No. 13). Kharkiv’s Jewish community, which prided itself with the second largest synagogue in Europe, lost an estimated 30,000 members between December 1941 and January 1942, who were buried in a mass grave in a ravine outside of town named Drobitsky Yar. The Nazis, however, were not the sole perpetrators of those atrocities: Jews were persecuted also by Ukrainian nationalists under the abovementioned Stepan Bandera. Nor was Bandera the first or only Ukrainian nationalist hero to participate in mass killings of the Jews. In 1648, the Cossack uprising against the Polish rule led by Bohdan Khmelnytsky led to the decimation of the Jewish population in Ukraine. The precise number of Jews killed at the hand of Khmelnytsky’s Cossacks is not known, but historians today estimate it in the tens of thousand (Jerome A. Chanes Antisemitism: A Reference Handbook). Other Jewish community officials, including Moshe Azman, the chief Chabad rabbi of Ukraine, have also condemned the recent protests as dangerous for the Jewish community, but such concerns have not been enough to keep many younger Jews from joining the demonstrations, which the Jewish klezmer musician Dmitri Gerasimov reportedly described “like a carnival” and “a public holiday”. For them, the idea that “the enemy of my enemy is my friend” trumps any anti-Semitic rhetoric from the Svoboda leaders, whose pro-European stance evidently matters more for the younger Jews than their chauvinistic views. For these Jews, investment in Ukraine’s future is an important part of their identity. According to Meylakh Sheykhet, Ukraine director for the Union of Councils for Jews in the Former Soviet Union, “many Ukrainian Jews who considered themselves Jews first have left Ukraine already. So those who stayed, and who now make up the majority of the Jewish presence in Ukraine, consider themselves Ukrainian first”. Whether the country’s ultra-nationalists associated with the Svoboda party would accord them this status remains to be seen. While many Jewish leaders find themselves divided about the protests, another prominent rabbi, US-born Yaakov Dov Bleich, head of the Jewish Confederation of Ukraine, has been instrumental in bringing the opposition leaders and government representatives to a negotiation table. 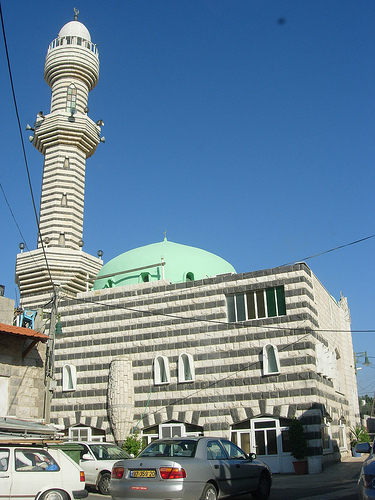 Pressure from the European Union and the United States, which threatened sanctions, also helped bring a possible resolution to the conflict. The international community has been particularly outraged by the crackdowns on EuroMaidan activists, who have suffered physical assaults and allege facing politically motivated criminal investigations. Bloody images of some of the estimated 50 injured journalists, most of whom were assaulted by police while trying to cover the large, violent anti-government rally on December 1, 2013, have been published by KyivPost. Ultimately, a new status quo has been reached with the signing of a formal amendment to a gas contract between Ukraine’s state energy firm Naftogas and Russia’s Gazprom, according to which the price of Russian gas is cut by a third for the first quarter of 2014. After the signing of this amendment, Kiev walked away from a free trade pact with the European Union. A major catch, however, remains: according to the agreement, the new price level must be confirmed every quarter, an arrangement that creates financial leverage for Moscow to prevent Kiev from seeking to revive ties with the EU. Over the last two years, Ukraine was also importing gas from EU members Hungary and Poland, and was close to striking another gas deal with Slovakia in a bid to reduce its dependence on Russian supplies. However, most of that imported gas had been supplied to the EU countries by Russia, and hence its price tend to be even higher than for the gas purchased from Russia directly. According to reports in RIA Novosti and KyivPost, in the first decade of January 2014, Ukraine ceased buying gas from Europe and will instead purchase the fuel solely from Russia, claiming it to be “the most profitable [supply option] for today”, as Ukraine’s Energy and Coal Industry Minister Eduard Stavitsky put it. The Ukrainian prime minister Mykola Azarov called the deal vital if the country was to avoid bankruptcy and “social collapse”. He said the cut in gas prices for Ukraine would help spur economic growth and added that agreeing to the deal with the EU would have meant facing tough conditions on economic reform from the International Monetary Fund. As a result of these latest developments, the protests are fading, although they are by no means over. Attention is now focused on the presidential elections in February 2015. Several colorful opposition figures have emerged from the recent political turbulence. One of them is the 42-year-old former heavyweight boxing world champion Vitali Klitschko, described by the media as having been “groomed” by the EU. His ties to the German chancellor Angela Merkel are particularly strong and the pair have been photographed together. His party is aptly named Udar (“Punch”). 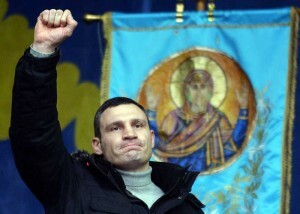 While it appears that Klitschko will not publicly call for protests to end, it is most likely that his main focus will be the defeat the current president Viktor Yanukovych. Some analysts, however, believe that the current administration may try to block key opposition leaders from running in the election, with Klitschko’s German residency being one issue on which he might be excluded. “They’ll try to find legal reasons to stop him … they will look for smear campaigns, but he’s very strong, his image is really very good, considering the culture. They think he’s a real man,” said Christian Haerpfer, a Ukraine analyst at the University of Aberdeen. According to one recent opinion poll, 45 percent of respondents said they support Klitschko, compared to 25 percent who favor Yanukovych. Yet Yanukovych could be helped yet again by potential infighting between opposition figures. This was the case in the last parliamentary elections, when his ruling Regions’ Party was greatly helped by the Svoboda party sucking the votes away from the more moderately nationalist All-Ukrainian Union “Fatherland”, led at the time by Yulia Timoshenko (who remained in jail). In the upcoming elections, Arseny Yatseniuk, a former foreign minister who is now the parliamentary leader of the All-Ukrainian Union “Fatherland” party, is likely to also seek the presidency, which would also split the opposition vote. Yatseniuk’s pro-EU position is very similar to that of Klitschko; he also opposes Russian becoming Ukraine’s second state language, an issue that has led to a brawl in the Ukrainian parliament in May 2012. 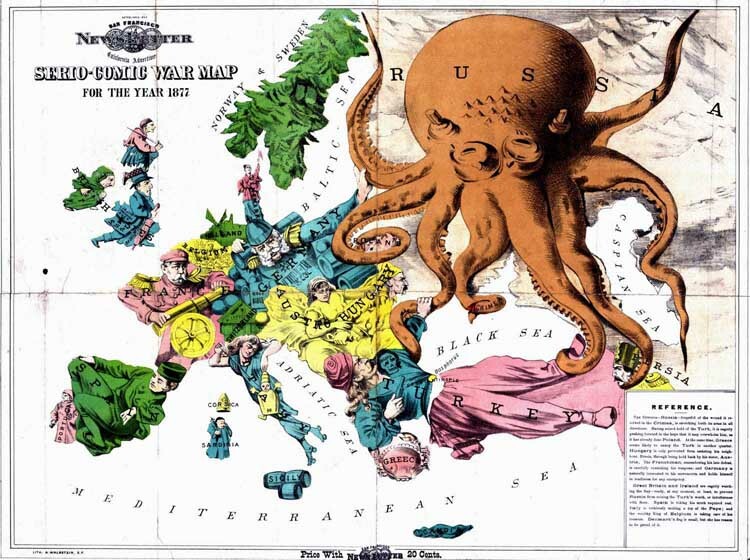 The “Russian World”—What And Where Is It?